The role-playing game lets kids battle on their own and against other players. The last main Skylanders game, Skylanders Imaginators, was released in October 2016, but the franchise isn’t dead yet. 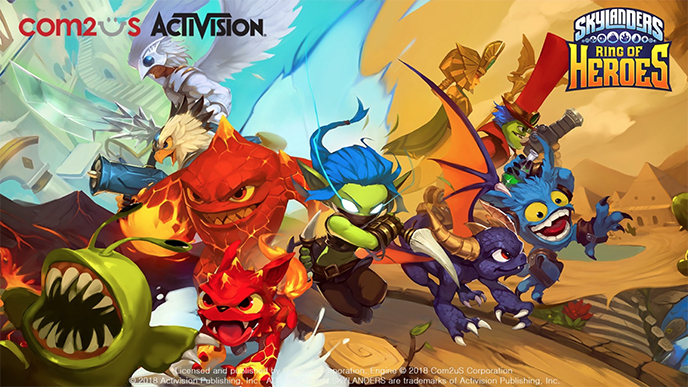 A new mobile game in the Skylanders universe is coming to iOS and Android devices later this year. Skylanders Ring of Heroes is a role-playing game that lets kids resume their role as a Portal Master, challenged with defeating the series’ main villain, Kaos, who has caused a dimensional rift in the world of Skylands. Players will explore ten different areas in Skylands, each containing a series of stages and boss battles to complete. Along the way, users can collect and combine a variety of Skylanders into the ultimate battle team. Skylanders have different skills, elemental powers, and evolution states, and kids will be able to upgrade their units over time. In addition to a single-player storyline, kids will also have the option to compete against other players in a player-vs-player battle arena. Skylanders Ring of Heroes will launch on iOS and Android later this year. If your kids want to jump into the action now, a free beta version of the game is available on Android until June 25. This unfinished version of the game may have bugs and other issues, but it will let your little Portal Master get a taste of the game to tide them over until launch.